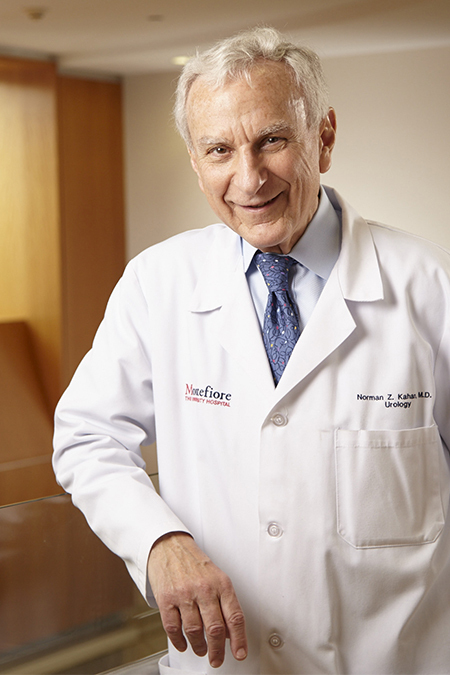 Norman Z. Kahan, MD, Associate Professor of Urology is the Director of Consult-Liaison Services, Moses Campus. He received his Medical Degree from New York University School of Medicine and completed his internship at Mt. Sinai Hospital. Dr. Kahan completed his Urology and Surgery Residencies at Montefiore. As a member of the American Urologic Association, he has received advanced training in endourology techniques, transrectal ultrasonography, extracorporeal shock wave lithotripsy (EWSL), visual laser ablation and collagen injection.